Welcome to the Heroes Academy, where you’ll learn how to create amazing e-learning courses. To help you get started, we’ve created six educational series to guide you through everything from planning your course to measuring its success. Take a look at the following series descriptions, decide where you’d like to start, and then jump in! Are you new to e-learning? If so, this section is a must read. We’ll teach you the basics of e-learning courses, types of e-learning software, instructional design tips, and best practices for managing your e-learning projects. When you’re finished with this series, you’ll have a great sense of what it takes to build e-learning courses that engage your learners and keep them coming back for more. 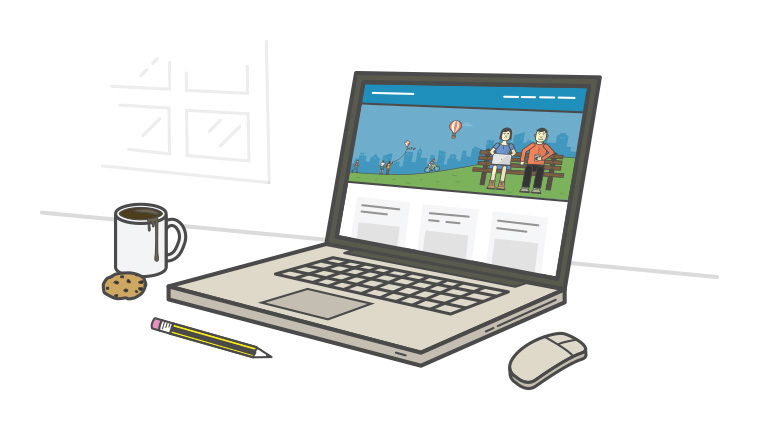 When it comes to creating e-learning, a little planning goes a long way. This series offers effective strategies on how to set your course up for greater success. You’ll learn how to identify strong course objectives, collect and manage good content, work effectively with subject matter experts (SMEs), create the right look and feel for your course, and successfully execute your plans. You’ll walk away with a solid understanding of what it takes to plan outstanding courses. This series gives you all the information you need to jump into course development. It helps you gather assets for your courses, create storyboards that bring your ideas to life, and add visual design elements to your courses. It also teaches you the basics of audio and video production. Learners love to be engaged by e-learning courses. They want to make choices, interact with the screen, and control their learning environment. In this series, you’ll learn how to add compelling interactions to your courses and use those interactions to motivate your learners. You’ll also learn how to animate like a pro and write realistic scenarios. To determine if your learners truly understand your course content, it’s important to assess their knowledge and skills throughout your courses. This series shows you how to write effective e-learning quiz questions and measure your learners’ knowledge. Perhaps most importantly, it teaches you to provide meaningful feedback so you can enhance your learners’ knowledge. After you’ve completed your e-learning masterpieces, you need to get them to your learners. You’ll also want to track who’s viewing your courses and see if they’re really making a difference to your organization. In this series, you’ll learn how to get your e-learning courses online and track your learners’ activity. You’ll also learn how to measure learner satisfaction and the effectiveness of your content. Ultimately, this information will help you communicate the value of your courses to your organization. This really spelled out what myself and my small team do to make online courses. Well done! Great article! Good for beginners and seasoned designers! Thank you so much, Nicole! You and your team have done an amazing job of updating the Articulate resources. Kudos! Very nice article! I have some new insights, thank you for that! Excellent article. I still wish that I had a manual. Thanks Nicole, I am going to go through every single article as it will be very valuable for my on going development. Yes on all counts. As a former English teacher myself, I got my start making e-Learning for my students. I was an early adopter of the flipped classroom. Along my e-Learning journey, I started with Captivate 4, moved to Lectora, and then made the leap to Articulate Storyline. Storyline is by far the easiest to use, as well as being the most flexible. If you're used to using PowerPoint, you'll feel right at home with Storyline. It's expensive, but worth it. You may even be able to talk to your principal/headmaster/dean and see if they'll be able to purchase a copy for you. This is a great guide to getting started for me as a newbie to this tool. However, I work for a sports NGB in the UK and am searching for talented storyline authors based in the UK (London) to bring our technical content to life - would anyone here be able to recommend a good place to start looking for contractors? Hi Merlin! Thanks for stopping by and leaving a comment. You do have a few options for finding some talent here in the community. First idea - create a new forum discussion in the Building Better Courses forums to let people know youre looking for a contractor in that area. https://community.articulate.com/forums/building-better-courses Second idea - add your job listing to our Jobs Hub: https://community.articulate.com/e-learning-jobs And also you might want to have a peek at this helpful forum thread: List of ID & E-learning Consultants/Freelancers: https://community.articulate.com/discussions/building-better-courses/list-of-id-and-e-learning-consultants-freelancers Hope this helps! Shout out if you have any more questions. Thank you for this Nicole - very helpful!! Look out, small town! Learning with class. Is this information still relevant? Looks like this was posted quite a while ago. I've been trying to learn how to use Articulate 360 and feel that I'm not much further along than when I started. I need some help. I'm new to all this. I just signed up a few minutes ago. I hope to have something worthwhile to say in the no too distant future!